The participants and the villagers after the 2-day workshop. On Jan. 28th to 29th, ECOPLUS organized a workshop on snow shoveling in Shimizu, Minami-uonuma City. 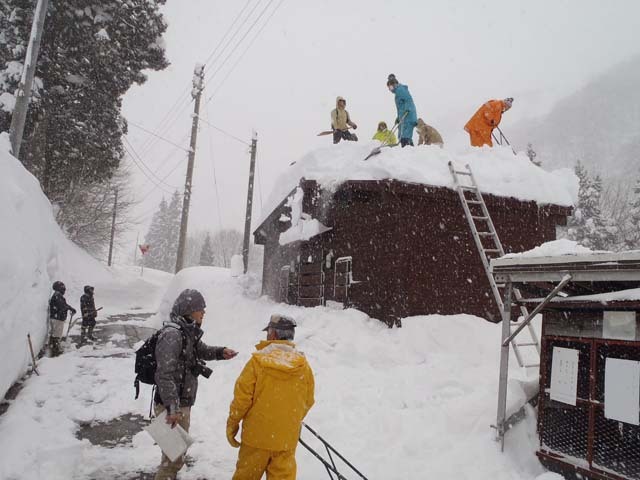 The villagers taught 13 participants from Kanto area and Minami-uonuma city about safety in working with heavy snow. The visitors were exposed to the culture of snow village. Some removed snow from the top of the public toilet hut in the community. 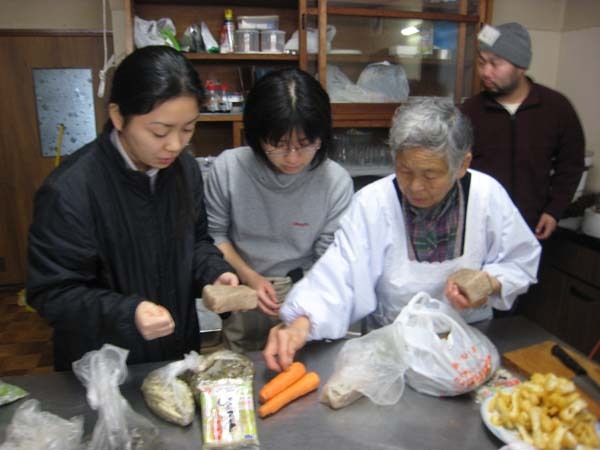 A total of 13 participants aged 30\’s – 50\’s gathered from Tokyo, Saitama, Kanagawa, Chiba, Gunma, Tochigi and Shizuoka Prefecture, as well as Minami-uonuma city, Niigata Prefecture. 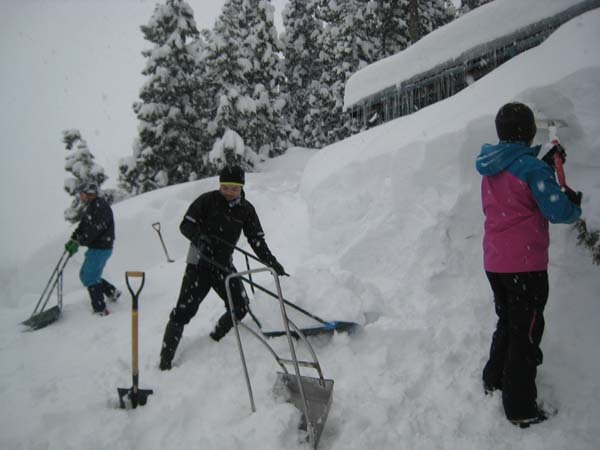 On the first day, the locals lectured on snow shoveling, including safety skills and how to use the tools properly. 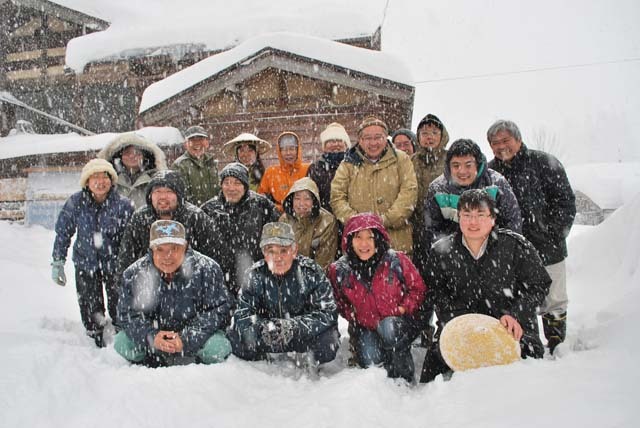 By using shovels, snow-dumps and Koshiki, a traditional wooden snow shovel which looks like a big wooden-paddle, they learned the technique to work with snow while practicing around houses, the public toilet, etc. You can read a detailed program report from the link below.